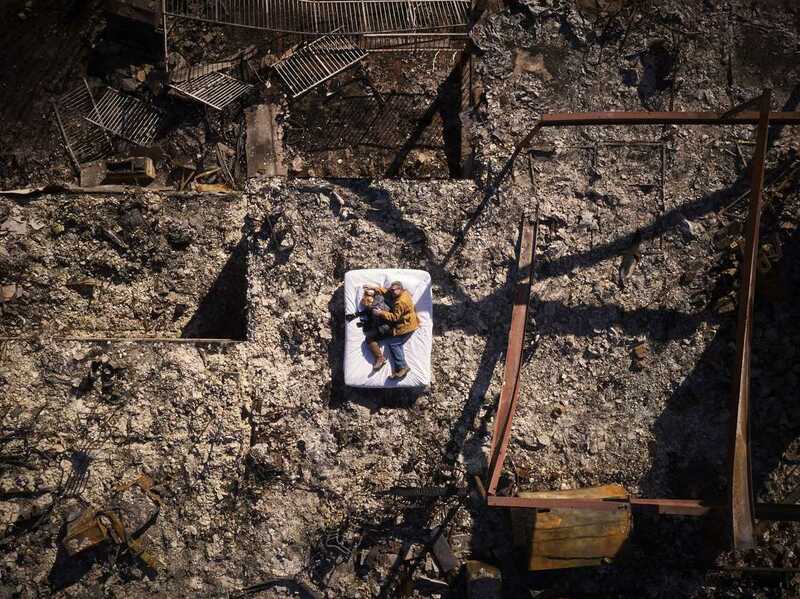 Photographing the victims of forest fires posing in the ruins of their homes, a powerful and moving series created by the American photographer Jeremy Cowart for his project Voices of Gatlinburg. 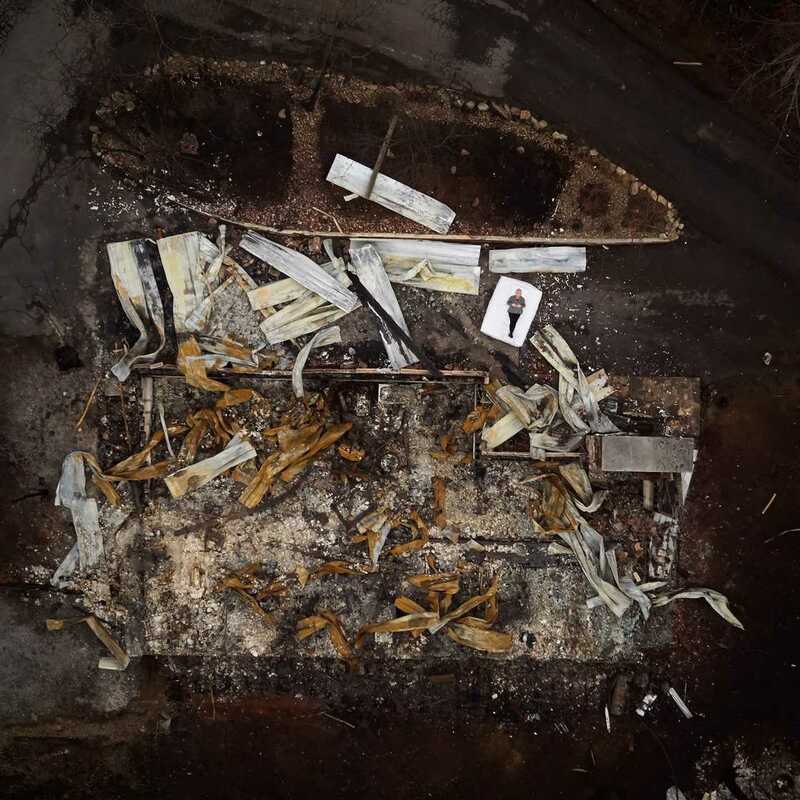 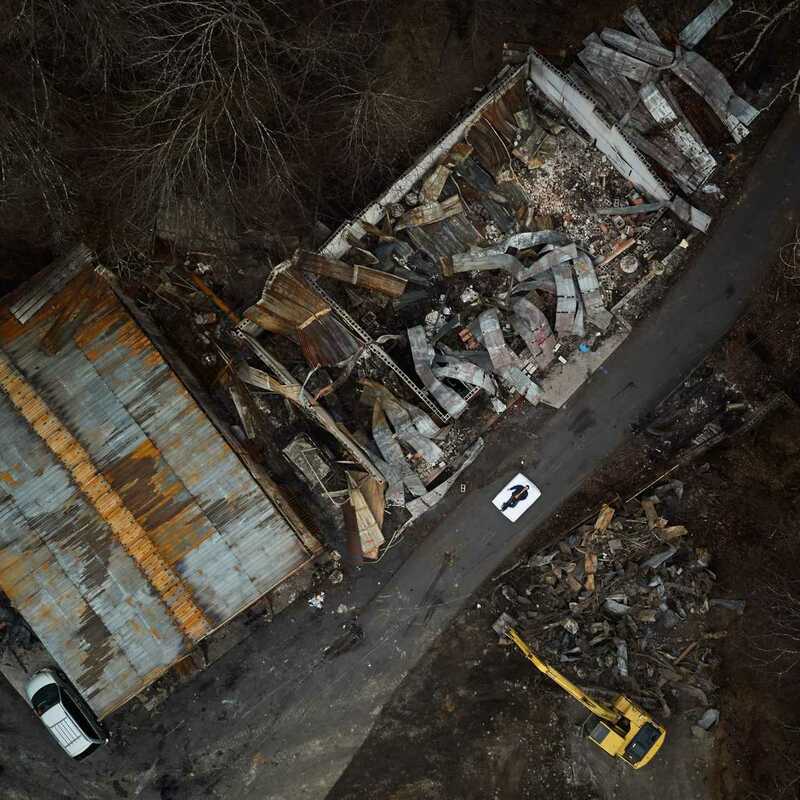 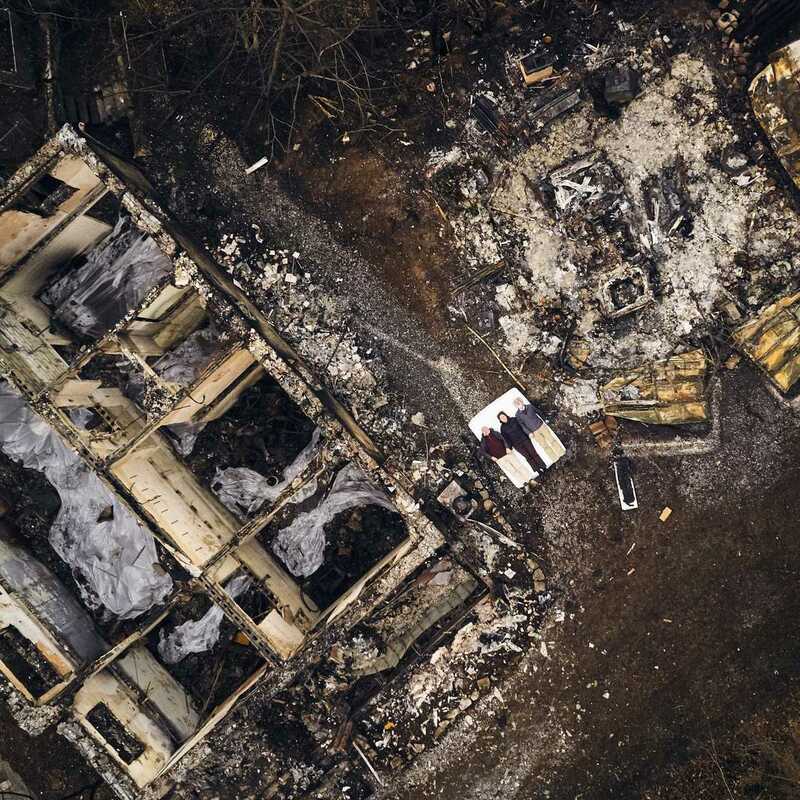 In November 2016, a massive fire devastated the forests of the Great Smoky Mountains National Park, destroying more than 2,000 houses in the city of Gatlinburg, and killing 14 people. 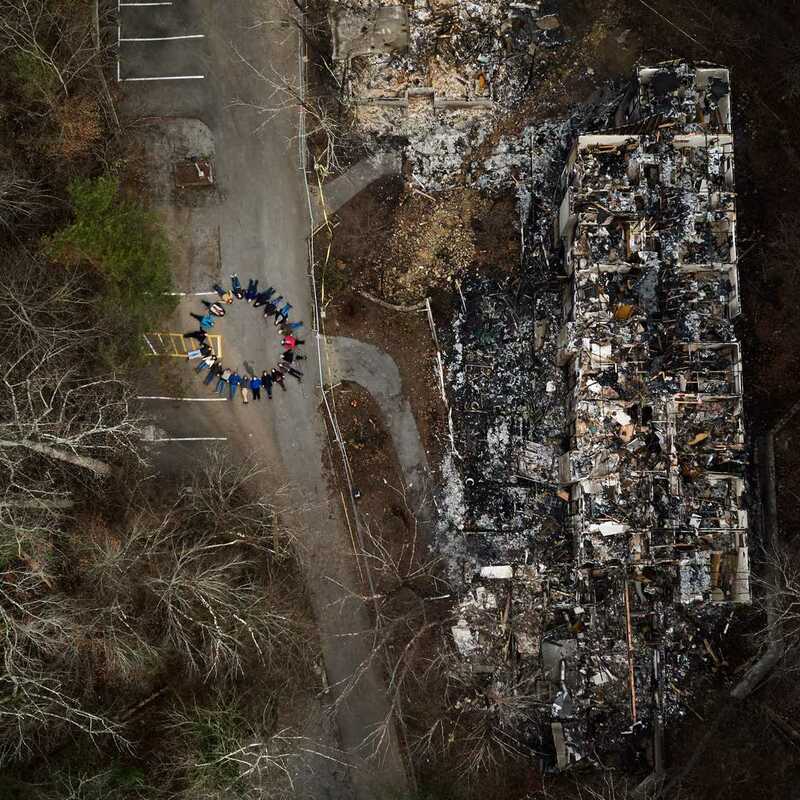 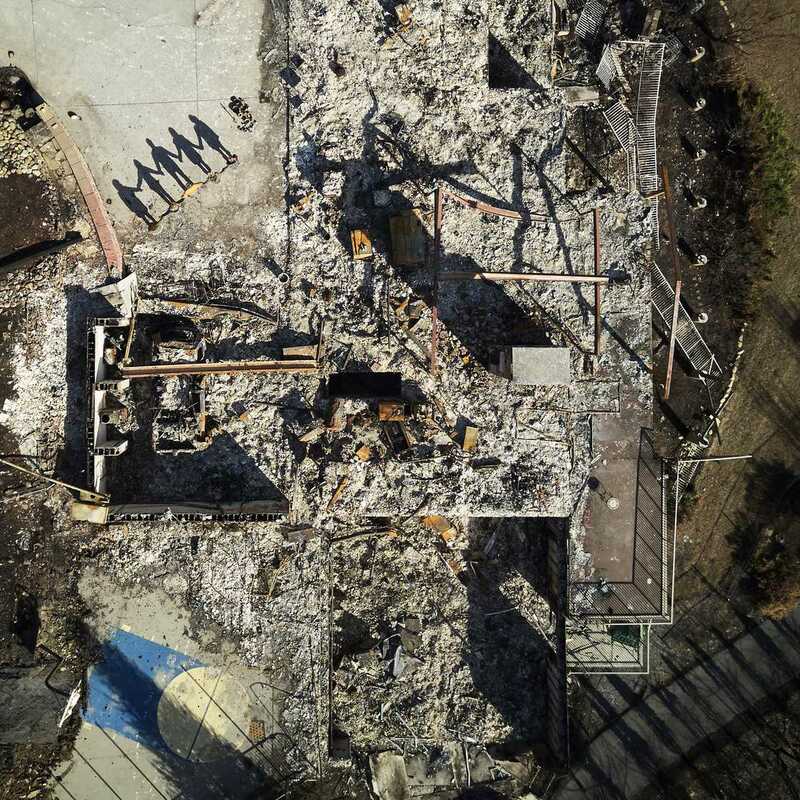 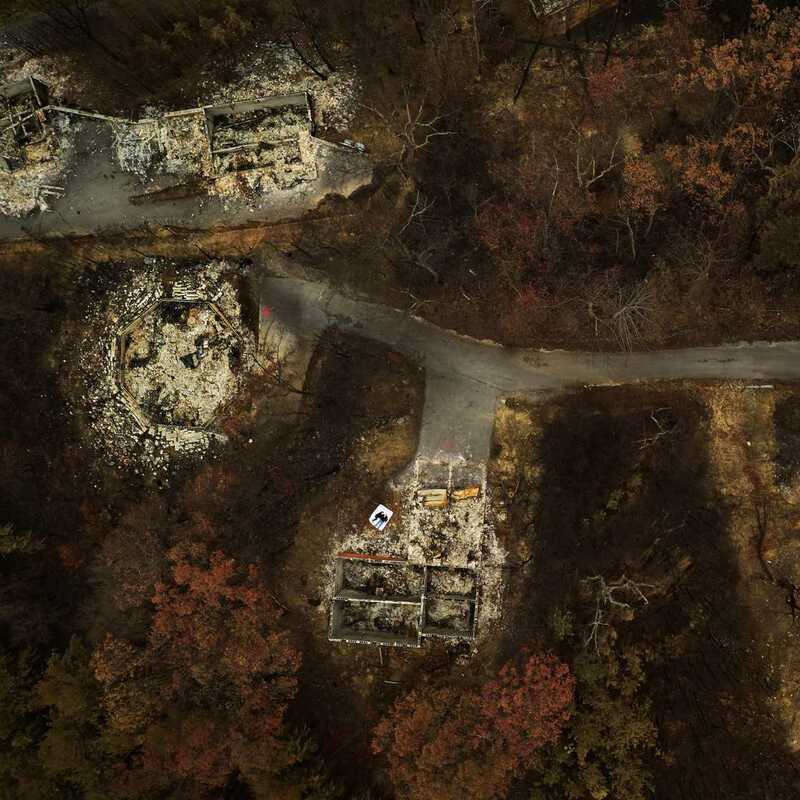 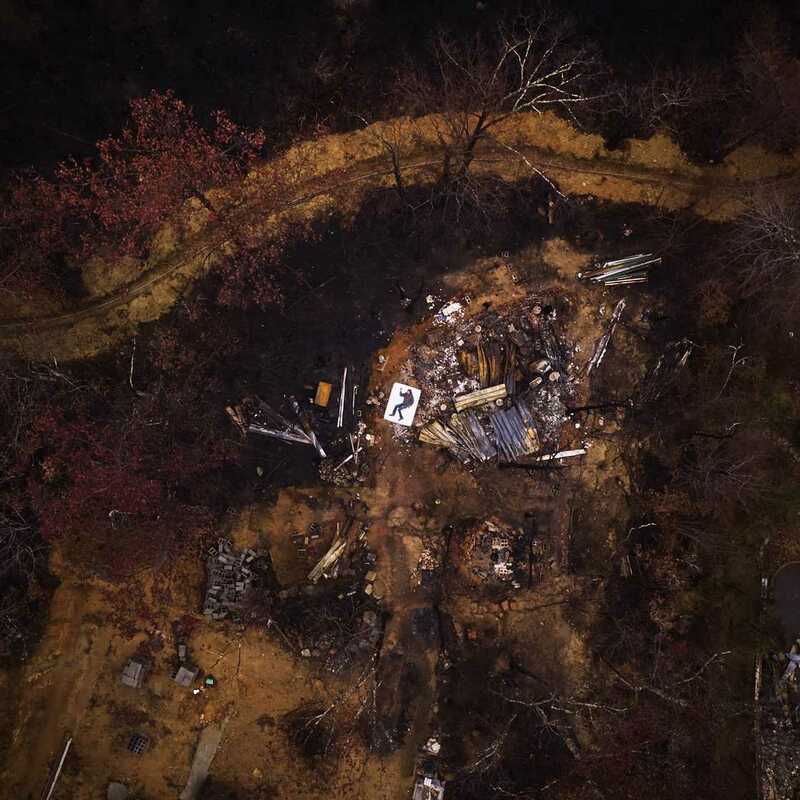 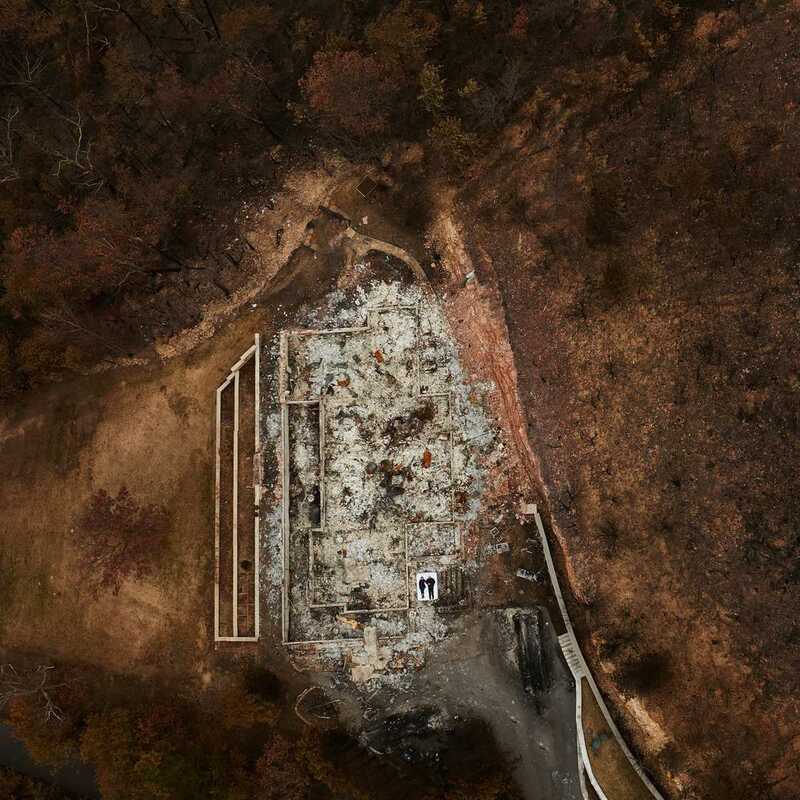 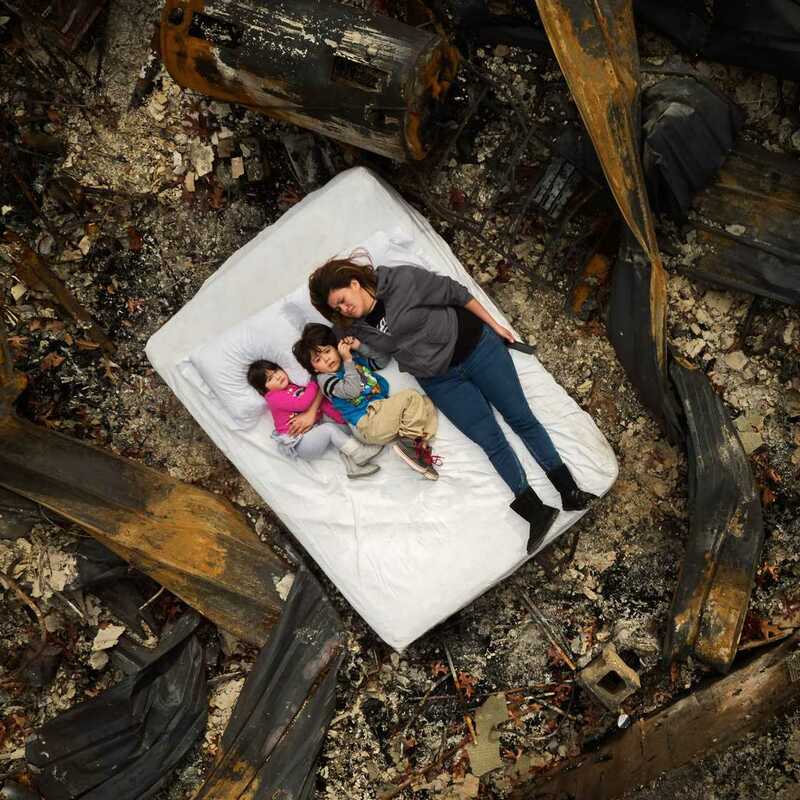 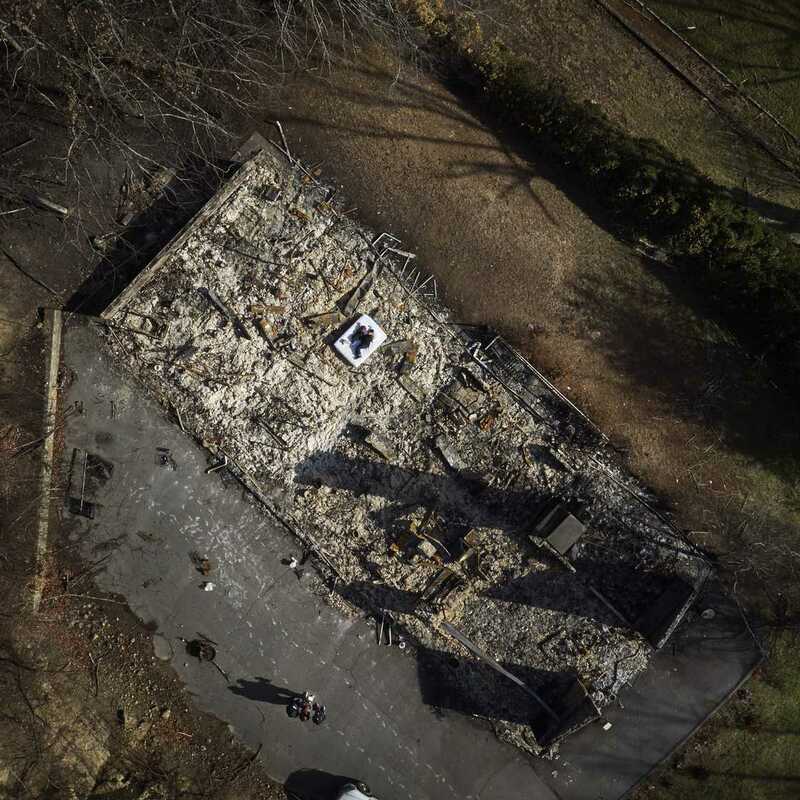 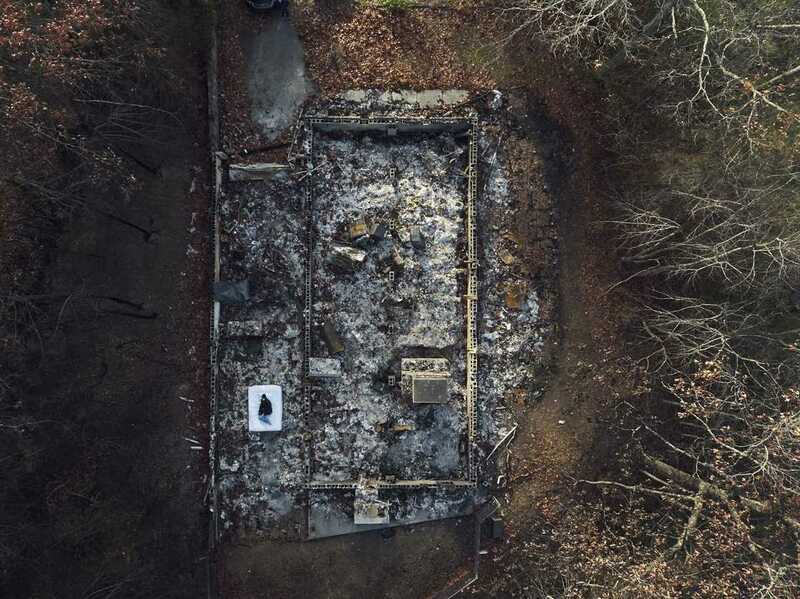 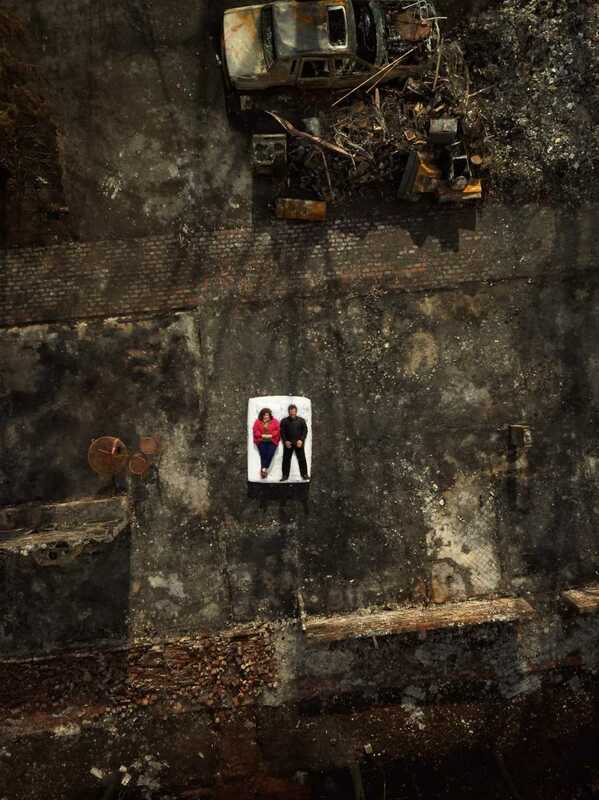 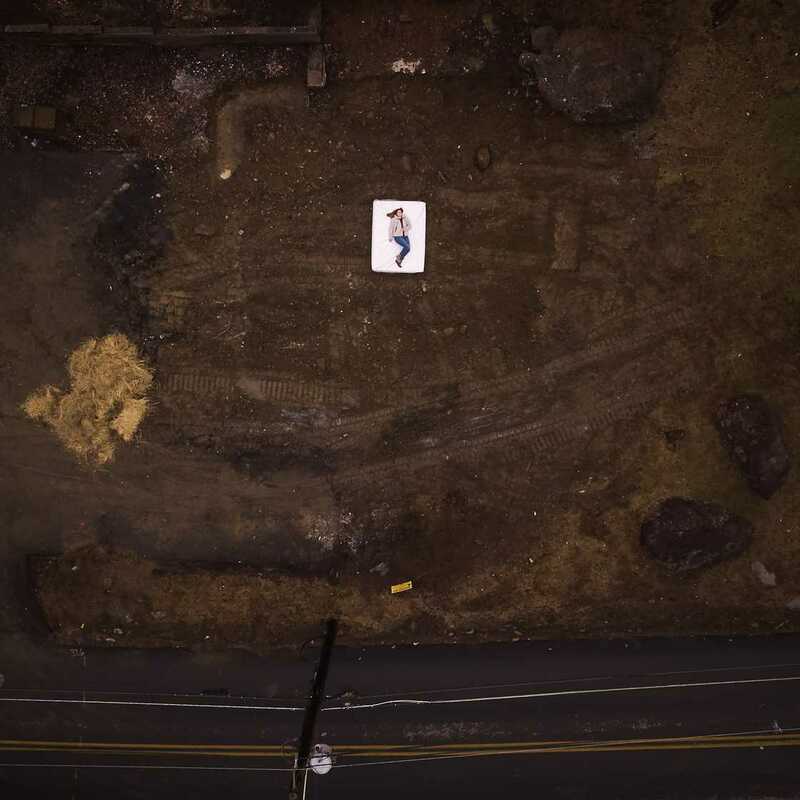 In order to pay tribute to the victims, but above all to raise funds to help those who lost everything, the photographer Jeremy Cowart and his team had the families posing in the ruins of their houses before photographing them with a drone. 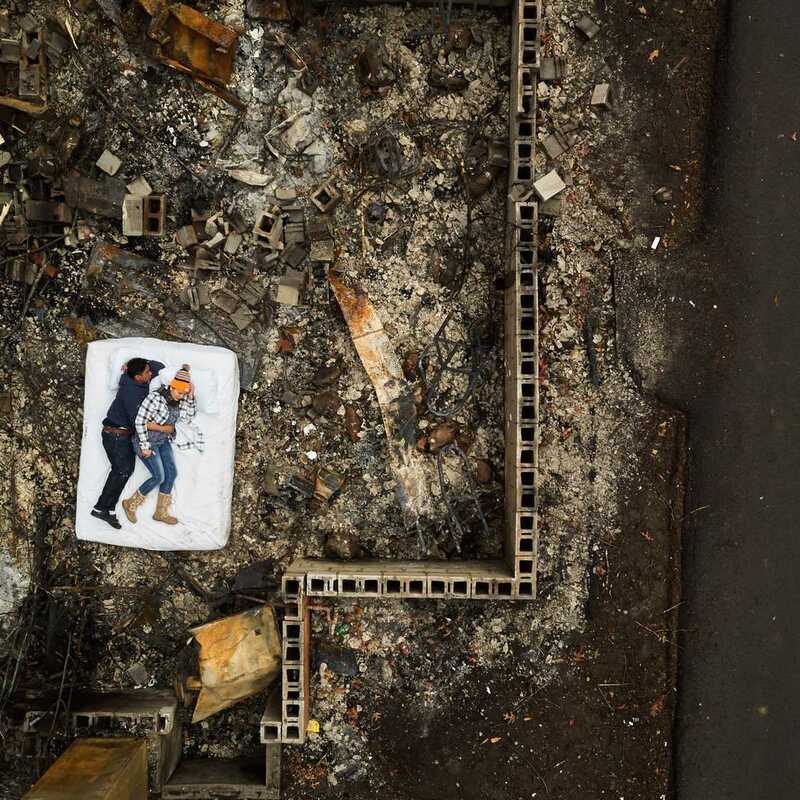 Some impressive photographs.